إن فندق شقق سوليفانز كوف بموقعه الممتاز في Hobart CBD هو نقطة انطلاق جيدة لنزهاتك في هوبارت. يمكن من هنا للضيوف الاستمتاع بسهولة الوصول إلى كل ما تقدمه هذه المدينة النابضة بالحياة. يشكل هذا الفندق ملاذاَ مريحاً للاسترخاء ويمنح زواره فرصة للاستجمام والتجدد، وهو يقع على بعد خطوات من المعالم السياحية الكثيرة للمدينة كمثل: Henry Jones Design Gallery, هنتر, Art Mob. يقدم شقق سوليفانز كوف خدمات لا غبار عليها وكل أشكال اللياقة وحسن الضيافة اللازمة لإسعاد ضيوفه. يمكن الاستمتاع بمجموعة من الخدمات على أعلى المستويات في الفندق كمثل واي فاي مجاني في جميع الغرف, خدمة التنظيف يوميًا, خدمة سيارات الأجرة, تسجيل وصول/خروج سريع, تخزين الأمتعة. ادخل إلى واحدة من الغرف 48 وتخلص من عناء نهار طويل بمساعدة مجموعة كبيرة من الخدمات كمثل تلفزيون بشاشة مسطحة, حمام إضافي, مرحاض إضافي, رف للملابس, قهوة فورية مجانية الموجودة في بعض الغرف. كما أن مجموعة الخدمات الواسعة الموجودة في الفندق لضمان راحتك تترك لك الكثير من الخيارات لقضاء وقتك أثناء فترة إقامتك. مهما كانت دواعي سفرك فإن شقق سوليفانز كوف هو خيار ممتاز لإقامتك في هوبارت. يُرجى العلم أنه يُطلب من النزلاء الذين سيصلون بعد الساعة 5:00 مساءً الاتصال بالعقار مباشرة قبل موعد وصولهم؛ لترتيب عملية إعطائهم المفتاح. مكتب الإستقبال مفتوح من 8:45 AM إلى 5:30 PM. الضيوف الذين سيصلون خارج هذا الوقت بطلب منهم التواصل مع العقار مباشرة قبل موعد الوصول لترتيب هذا الأمر. يُتاح مكان خارجي لانتظار السيارات. ويجب الحجز مسبقًا. Had the loft apartment, level 2 but no views of water, need to get level 4 for that. Be aware if you are tall that you will hit your head on the ceiling in the tiny bathroom and in the bedroom near the loft railing. 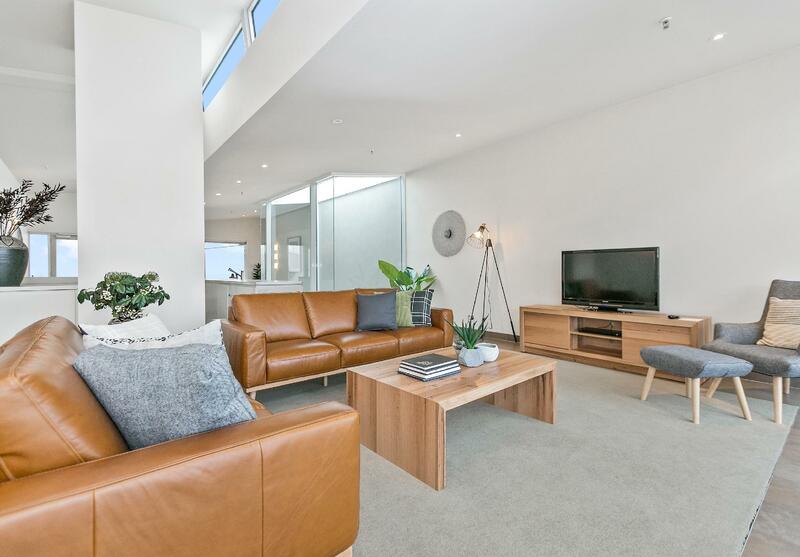 Huge apartment with lots of space and well fitted out. Enjoyed our stay. The apartment is very nice, spacious, super clean and fully equipped (Nespresso, washing machines, barbecue, large balcony, heater in the bathroom, etc). Location is great, staff was very friendly, we would absolutely recommend to friends! We planned to have BBQ during our stay, but we can't find the switches. The staff (Michelle) from front desk was being so helpful and even send a housekeeper to come over to help us. Since every apartment is having a bit of distance from the reception, all the equipments do have a clear instruction labeled. This is most appreciated. Stayed at Gibsons Mill 2 Bedroom apartment and it was like living in my own home. I felt instantly comfortable. It was our second time in the same apartment. only downside is that it shares the same wall as a pub, so over the weekend, you will hear some noise from there, but Sullivans Cove apartments provides ear plugs just in case you need them! Also, the water pressure of the shower needs to be higher to have a better shower experience. 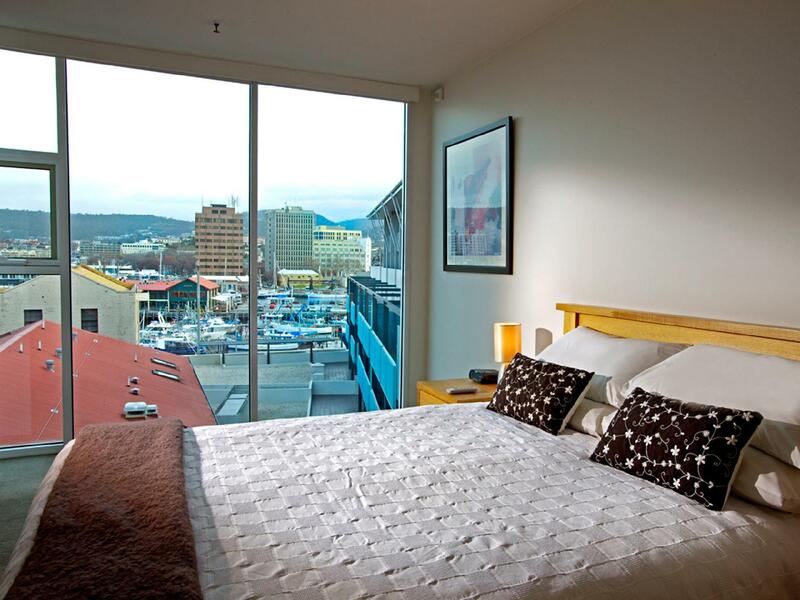 Great place to stay, very comfortable accommodation with everything you need while checking out Hobart. The location is fantastic if you want to enjoy the harbor and the many restaurants on offer. We Would stay here again. The 1-bedroom apartment is huge. Efficient and quiet washer/dryer. Good kitchen appliances and supplies including cooking oil, foil, plastic wrap, etc. Comfy bed. Close to town center, wharf, etc. As mentioned in someone else's review, I also found the toilet bowl to be way too high and very uncomfortable, plus impossible to avoid water from shower getting outside of the tub. The side of the tub is tall than I would like, so I had to be very careful when I climb out of the tub landing on wet floor. 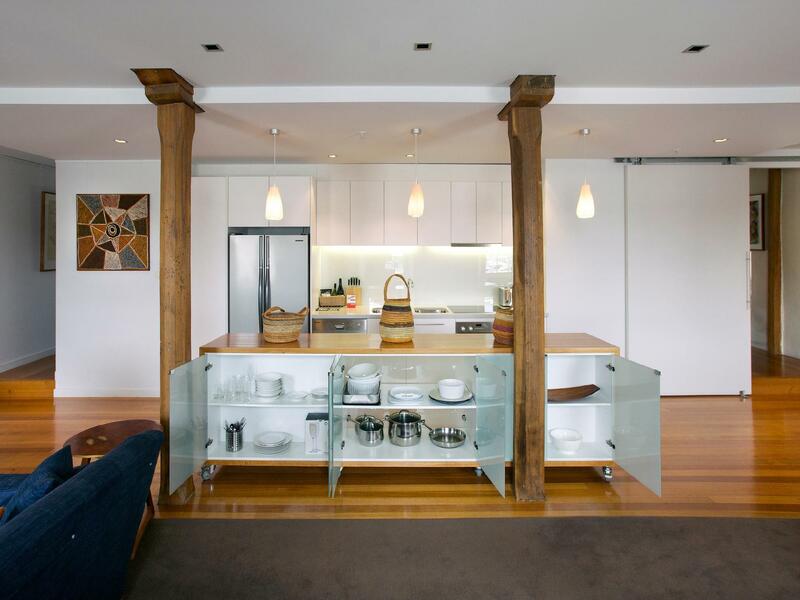 We have never been to Hobart and certainly did not know which is the best accommodation for our needs. 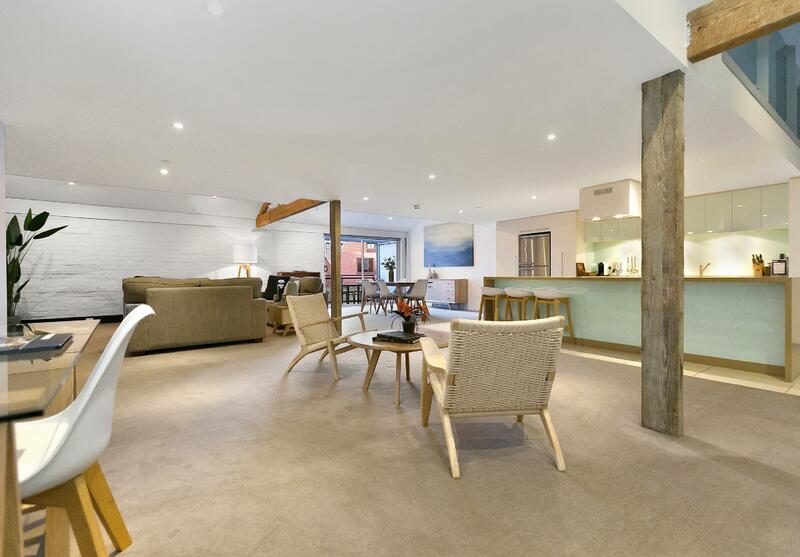 We stumbled across Sullivans Cove Apartments and thought we should give it a go. Initially wanted just a 1BR in Gibsons Mill (one of the Sullivans Cove Apartments locations), but we wanted windows, so we upgraded to the 2BR that gave us street view. I have to say that it was a good decision made as it is not about the street view or the availability of windows. It was more than that. Firstly, the staff has been excellent... especially Michelle McCaw, at the front desk / reception, who has been so kind and helpful! Secondly, the size of the 2BR and the comfort level of the entire apartment was more than we expected! The kitchen is well stocked and laid out, the laundry is hidden well, the bedrooms are well-sized and have heaps of room to walk about. The dining area is large for 6 people, and the bathroom is classy with L'Occitane products! The entire apartment is beautiful. Very clean, and quiet from the cars driving past. We will definitely be back again. We are impressed. Thank you Sullivans Cove Apartments for making our stay so wonderful! 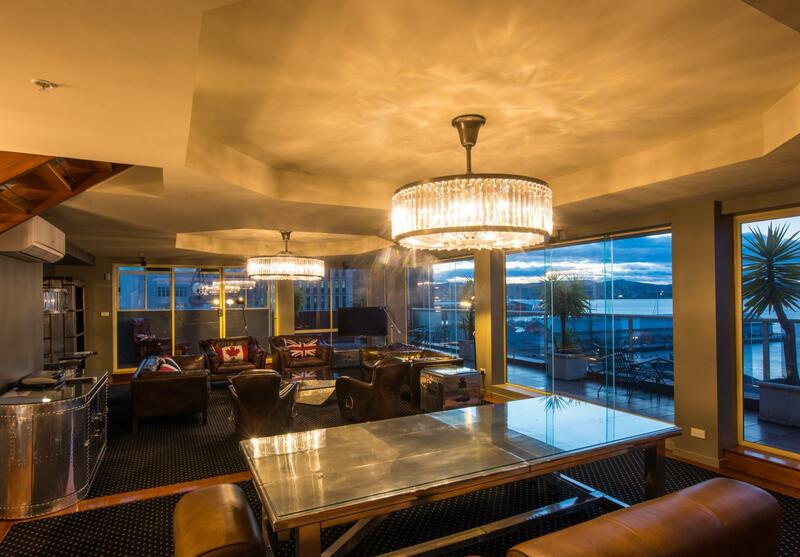 Location is fantastic, easy finding and lots of spaces in the Penthouses Restaurants and bars near the Apartments making it easy for food and beverages. Not to forget to mention, kitchen is so well equipped that makes you want to prepare your own meals in style. It was splendid! I like the quietness in the area and the modern facilities this place is offering. 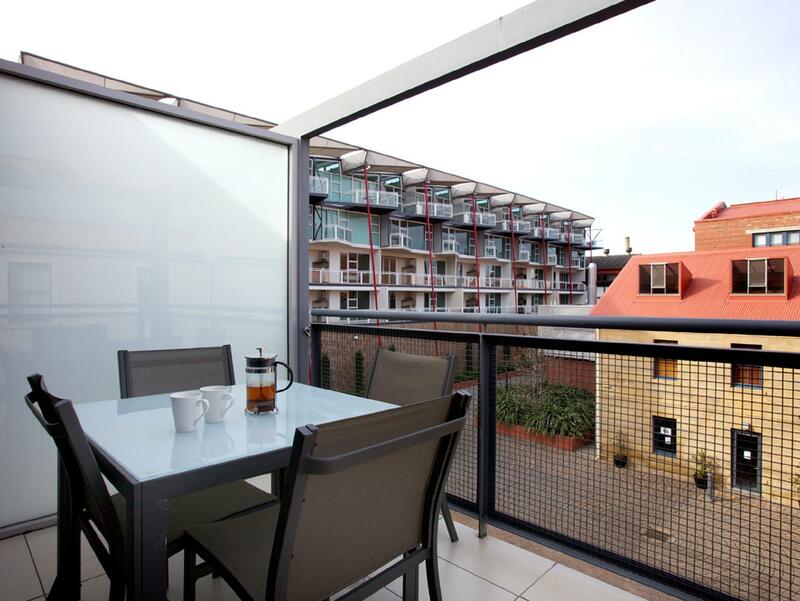 This apartment is walking distance to Salamanca and offers a very relaxed environment for couples, recreational travellers alike. We will DEFINITELY be back again! The apartment was modern and convenient. the master bedroom was big but was quite cold, probably because of the big windows. Maybe a thicker curtain will help to keep it warmer. The ensuite was not very practical as there was no door. The shower screen was too small and water was splashed everywhere during a shower. The other two bedrooms were quite small. The kitchen was modern. There were a few things in the apartment that is not working or need maintenance such as the milk steamer in the coffee maker and the TV in the master bedroom. There are enough parking in the street during the evening. I was travelling with my partner but with the need to work on line while away. The twin / double units at Gibson Mill are poorly designed with tiny bedroom, making it difficult to walk around the bed, and a poorly functional bathroom with no shelf to put a toiletries bag. The living space is large but with no powerpoint to access for computer or iron and have NO external windows, so not natural light. The only window opens to the central corridor so puts you on full view if the blind is up. The most frustrating aspect was the absence of WIFI - which the staff acknowledges was usually slow. Over a couple of days and a few technicians visits they could not get the wifi working . Probably related to the bunker style of the old converted mill. I would not recommend these apartments to anyone. Uncomfortable, poorly functional, no wifi and at $300 per night - definitely POOR value. The Sullivan's Cove Apartment were fantastic! The rooms were neat, clean and tastefully decorated. All the comforts of home were there and their locations are so close to everything Hobart has to offer. We could walk everywhere and had stunning views. The staff were superb too - offered loads of advice on what to see and do and were just lovely to chat to. We will definitely be back! 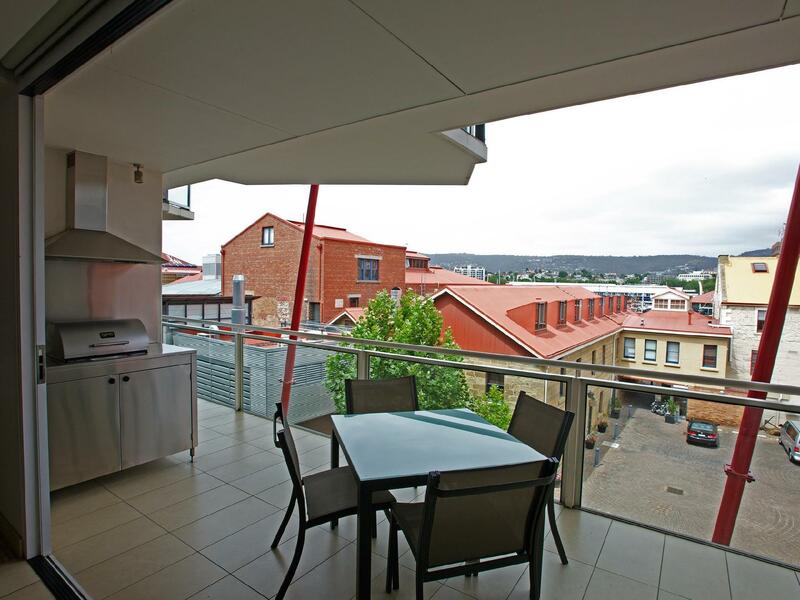 We recently stayed at Sullivan Cove Apartments in the IXL complex in Hobart in a 2 bedroom apartment. The apartment was very spacious and the staff were very helpful. The design of the ensuite bathroom for the main bedroom was a little ill-thought out: a double open shower in a small space meant the rest of the bathroom (toilet, floor, sink area) got drenched if anyone had a shower due to the lack of screen. The ventilation in this bathroom was also lacking which meant it was a little musty in smell. However, there was a second bathroom which was better ventilated and had a shower/bath set-up, which was more than ample. The wifi signal was not particularly reliable, but otherwise all the mod cons of the room were more than sufficient. 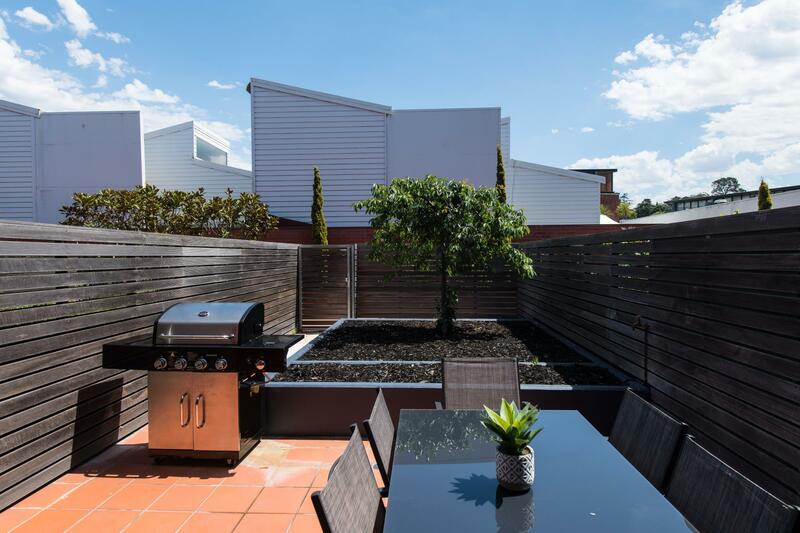 Overall, it was a very pleasant stay, easy check-in and check-out process, and all within great proximity to popular restaurants, bars, and harbour sites. 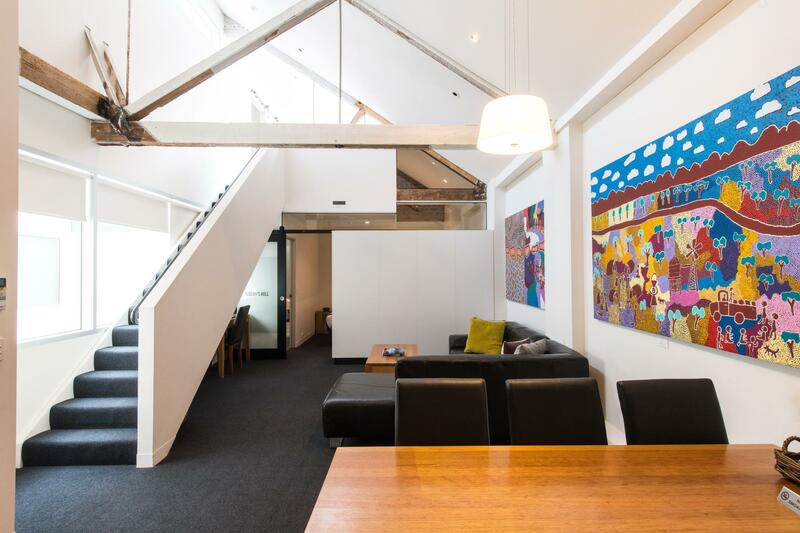 I'd certainly stay with Sullivan Cove Apartments again if I were to ever revisit Hobart. This is one beautiful , spacious, comfortable apartment with stunning views and a great location (if you don't mind tons of stairs). The bathroom, though, leaves a lot to be desired (one star taken off for that) -dark, w/inadequate lighting, shower with malfunctioning shower head, shower enclosure leaking water all over the floor, no hooks for clothes you take off...). Still - would recommend the place wholeheartedly. I have taken a star off for housekeeping who comes in to take garbage out and leaves the place dirtier than they found it (I vacuumed before leaving, they brought dirt/leaves in and left the place really messy). I also had to have stuff replaced - vacuum cleaner was broken, so was the hair dryer, some light bulbs were out...Like I said - not perfect but very close to it. Wonderful people in the office, attentive and friendly. 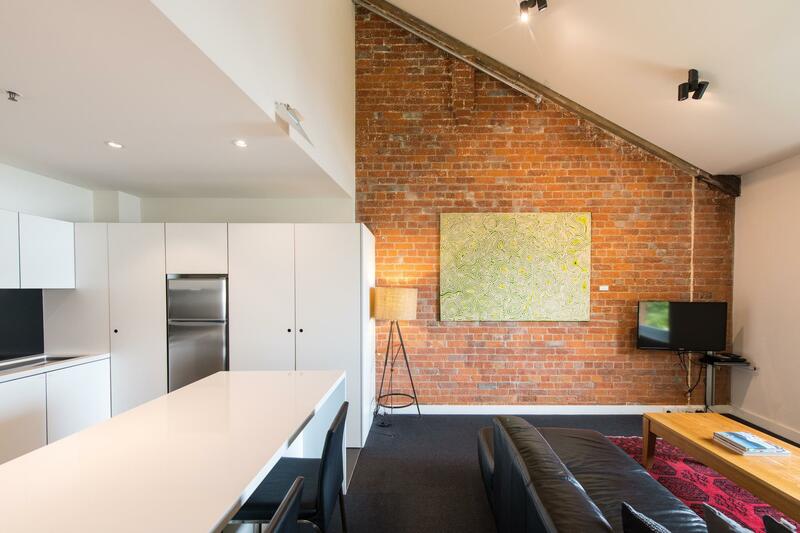 I traveled to Hobart with my sister and we loved our stay - Michelle at reception was fantastic and so friendly; our apartment was centrally located, spacious and very comfortable, and Hobart itself was beautiful. Hope to visit again in future. Have now stayed at three different Sullivan's cove properties and they are all excellent. I found trying to get in touch with Agoda to change a booking date very difficult so paid for a night we didn't need. Also no hot water for 16 hours and no apology. Very inconvenient with a baby to bath and cold weather to have cold showers. Otherwise a great stay.